When it comes to choosing the right toothbrush and floss for you, there are so many options out there. There are different types of electric toothbrushes that range from just $10 to over $100. Which one do you choose? Or should you pick a manual toothbrush? Do you pick traditional floss, flossers or go with a water pick? Choosing the best option for your mouth can be a stressful choice. 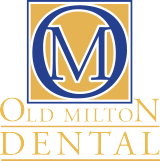 That’s why our dentists at Old Milton Dental compiled this list of pros and cons of each choice out there to find out which is best for your mouth. If you have any questions, feel free to reach out to our Alpharetta dentist to have your questions answered. With so many different electric toothbrushes out there, it can be overwhelming to choose one. The first question you might have though, are electric toothbrushes better than manual toothbrushes? The answer is, yes! Not only do electric toothbrushes have a time on them to ensure you brush for two minutes, but they tend to remove more plaque than manual toothbrushes. Electric toothbrushes can make brushing as a child easier because of the timer, and you can get their favorite cartoon character on it to make it more fun. There are many pros of electric toothbrushes. First, electric toothbrushes make it more fun for kids to brush their teeth twice a day. In addition, electric toothbrushes can save you time and do a better cleaning job than manual toothbrushes. The average electric toothbrush can provide 6,000 to 30,000 strokes per minute. Therefore, it will take less time to properly clean your teeth. Today, there are even electric toothbrushes out there that tell you if you missed some spots in your mouth. This can help ensure you clean every nook of your mouth. Of course, the first con of electric toothbrushes is that they can run on the costly side. Of course, if you factor in the money you will save on dental treatments in the future because your mouth is staying clean, the price of an electric toothbrush is well worth the investment. The expensive ones tend to do a bit of a better job or provide different settings; however, even a cheap electric toothbrush will provide you with more benefits than a manual toothbrush. Another con of electric toothbrushes is that some people find the electric brushing to be a bit painful if they have sensitive teeth. This applies to people who have sensitive teeth or gums, loose teeth. Electric toothbrushes might not be the best option for you if you suffer from these problems. Lastly, some people find electric toothbrushes too bulky to travel with, although most break apart into two easy to move pieces. 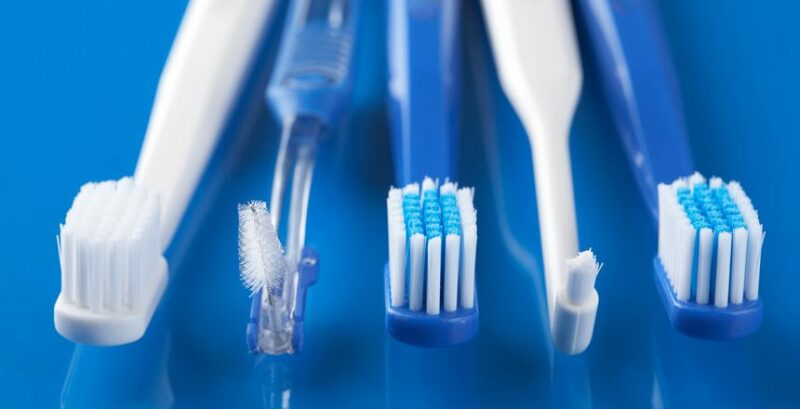 The top pro of manual toothbrushes is that you have control over the pressure and way you brush your teeth. If you have sensitive teeth, this is going to be the better option for you. You can brush your teeth, gums, and cheeks at your own comfortable setting. Another pro is that manual toothbrushes are cheap and easy to transport! You also never have to worry about the battery dying because there is not the battery. Although manual toothbrushes are cost-effective, it’s easy to not brush your teeth for two minutes or to do it as effectively as you could. In other words, brushing with a manual toothbrush can lead to lazy brushing habits. This only applies to those people who are lazy with their dental hygiene habits. Those who suffer from arthritis or find it hard to hold a toothbrush may want to steer clear of manual toothbrushes since they will find it difficult to brush their teeth properly enough to fight off dental decay and plaque. Manual toothbrushes have also been found to be less appealing to children. This results in children who do not want to brush their teeth or do an effective job. If you hate flossing, you might enjoy a water flosser instead. A water flosser takes away the pain of dealing with floss and instead you spray your teeth with water to get between the hard to reach spaces. This is a pro for those who have braces or dental bridges since it’s hard to floss with those. It’s also an appealing solution for those who don’t necessarily enjoy flossing. It’s easy to operate and can do a semi-good job. As fun as they can be, water flossers cannot effectively clean off plaque and debris like traditional floss. Water flossers can also be a bit pricey. The largest issue that our patients have with traditional flossing is that some find it hard to operate or do properly. Our hygienist can easily show you how to properly floss at home. All it takes is a bit of practice and you will be a pro in no time! Another con is that many people find that flossing seems inconvenient and as a tedious task. Although it may seem like one, it’s important for your dental health. We have found that those who use traditional floss are less likely to floss than those who have a special water flosser or another alternative. At the end of the day, whether you choose an electric toothbrush or manual or go with flossers over a water flosser, the best ones you can pick are the ones you will actually use. If you’re interested in improving your dental health by including the use of an electric toothbrush and daily flossing then good for you! Make sure to give our hygienist in Alpharetta a visit to see if your dental hygiene efforts at home are paying off. For any questions, you might have, fill out our online contact form and we will be in touch soon.